These are just decadent and wonderful! 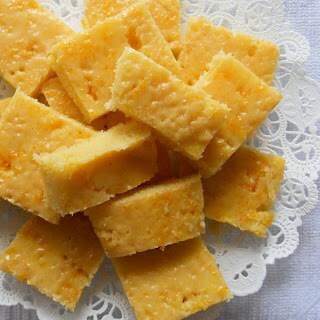 Blasts of sugar, butter and orange will fix that sweet tooth you have had hangin’ around. I heard some where that these won first place at a Pillsbury Bake Off contest but I can’t find any info on it. 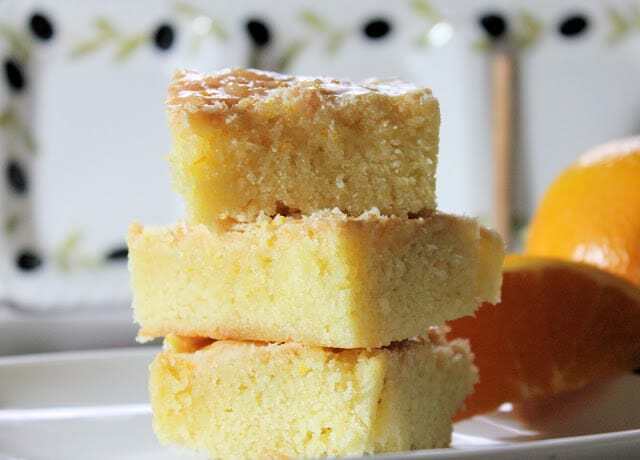 They are simple to make with only a few ingredients…hope you love them as much as we do! Grease well, a 13 x 9 x 2 inch baking pan and set aside. In a mixing bowl, stir together flour, sugar, and salt. Add butter, eggs, orange extract and orange zest, and beat with a handheld electric mixer until well blended. Pour batter into prepared pan and bake for 30 minutes, or until light golden brown and set. Remove from oven and pierce entire top of cake with a fork. 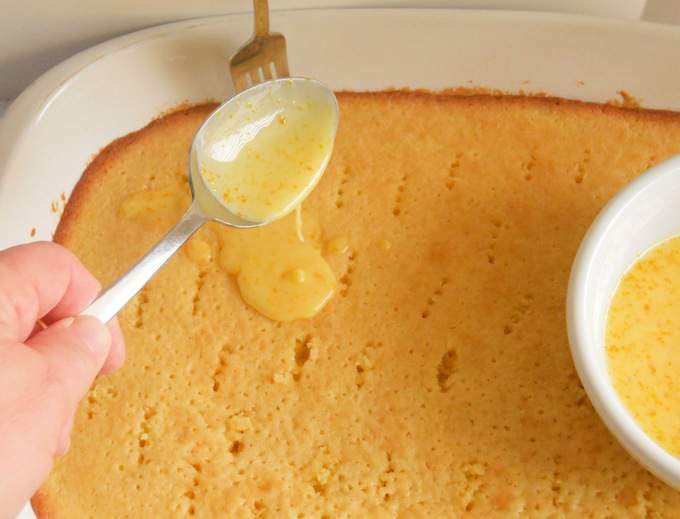 Glaze: combine all ingredients in a bowl, stirring with whisk until smooth. Pour glaze over warm cake. Cool cake and cut into squares. You’re right – this is a recipe I would enjoy. Looks scrumptious! Thanks for sharing.